Essie Navigate Her - I don't normally like green nail polishes but I'm loving pistachio shades at the moment and this one in particular. With the new diffusion brush it means it's a dream to apply and lasts a good amount of time. The best thing about is that I managed to pick it up for only £1.99 from Fragrance Direct. Sally Hansen Delphinium - This is the first Sally Hansen coloured polish I've tried and it's started a little obsession in which I've built up a small collection over the month. This one's one of my favourites, it's a lovely pastel shade that in some lights it looks a purple-grey and others it's more of a grey-purple. 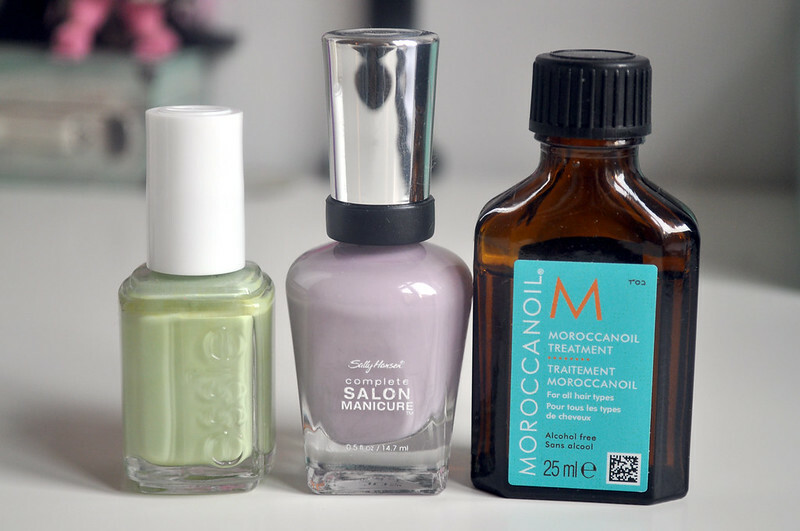 Such an easy colour to wear and lasts really well especially with a Sally Hansen top coat. Moroccan Oil - Don't think I've mentioned this in any of my favourites yet but I've been using it over the last few months and really surprised how little of it I've actually used. Although it is expensive, it does wonders to my hair so I think I may buy the full sized bottle once I've finished this one. I also love the scent! Barefoot SOS Dry Scalp Shampoo - Once I finished my first bottle of this shampoo and went onto using others I really noticed a difference with how my scalp felt and by eczema flared up again. I just had to order another bottle and even though I've only used it twice I've already noticed a huge difference. If you've had a problem with an itchy eczema prone scalp then you should give this a go. 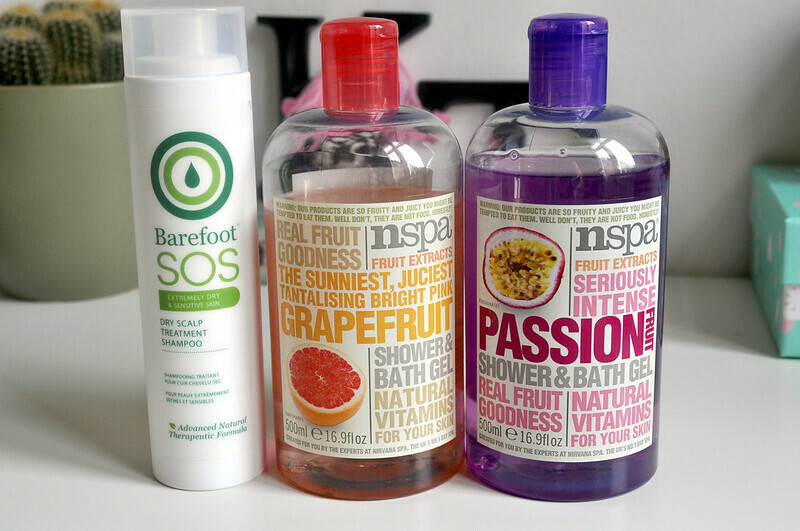 NSPA Grapefruit & Passion Fruit Shower Gels - These were on offer for 2 for £4 so thought I'd give them a go as they smell amazing and they're really great. They remind me of the shower gels from The Body Shop but obviously at a much better price and they also make great bubble baths.